Even without the petals the queen anne’s lace is still delicate. I took this picture of queen anne’s lace in front of an old fence. Photography, like any art, is not a series of rules. It is a series of guidelines. The biggest of these involves what is thought of as correct exposure. Exposure is important, especially in documentation, however, using it creatively can have very interesting results. Today’s photo is such an example. 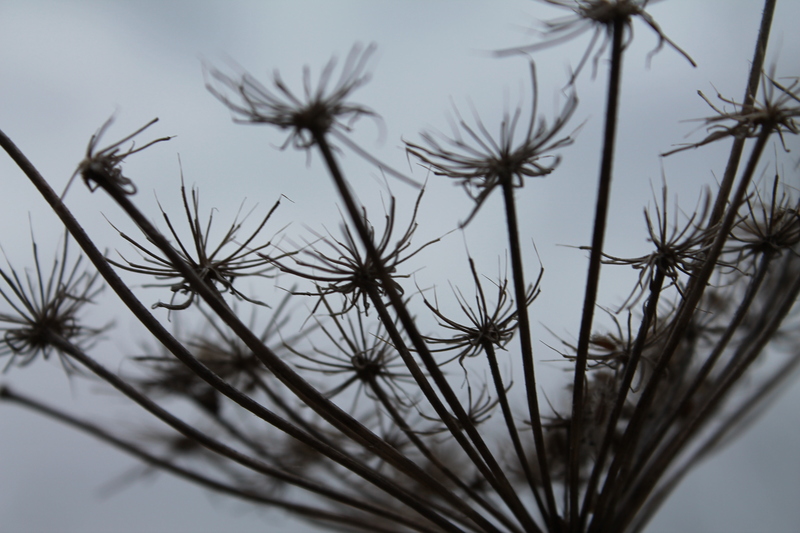 The intentional over exposure of the image gives the picture a dreamy appearance, while still being a beautiful photograph of a queen anne’s lace. Starting tomorrow, I was planning on starting something called Photo Friday. 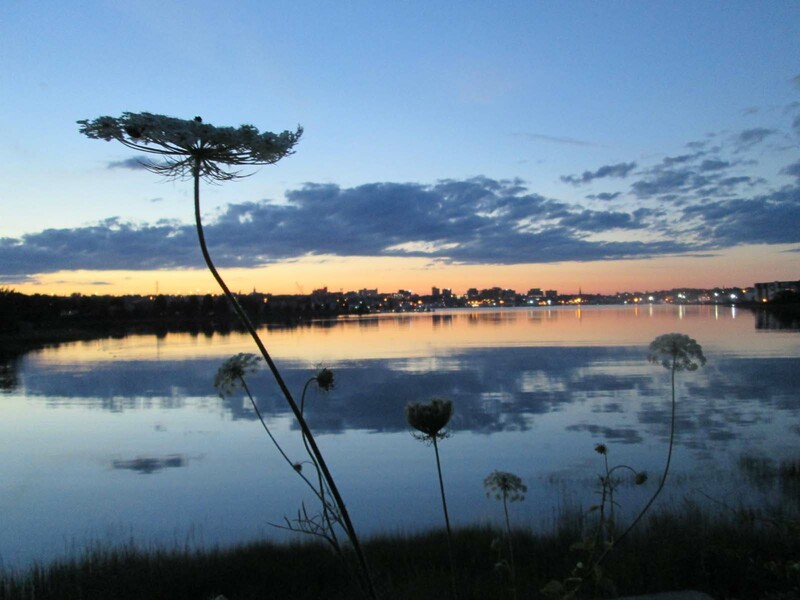 Unfortunately, we will not have the internet starting tonight, for a few days, so I have chosen a picture I took last summer that I thought you would all like, of the Portland, Maine skyline with queen anne’s lace in the foreground, during sunset. I hope you enjoy. I hope to be back online shortly. During it’s blooming season the queen anne’s lace is a cluster of delicate white flowers that look like a lace doily, but after the petals fall off it leaves this interesting pattern that is a skeleton of what it looked like before.